Dynamics NAV (formerly Navision) is part of MICROSOFT's enterprise resource planning (ERP) software portfolio. The Microsoft NAV ERP system is targeted toward small to medium size businesses, often with a mix of light manufacturing and distribution needs and a European focus. The software has a storied history of acquisitions. In 2000, Navision Software A/S merged with Damgaard A/S, a Danish firm, to form NavisionDamgaard A/S. On July 11th, 2002, Microsoft bought Navision A/S for $1.2 billion to go with its previous acquisition of Great Plains. In September 2005, Microsoft rebranded the ERP product and released it as Microsoft Dynamics NAV. 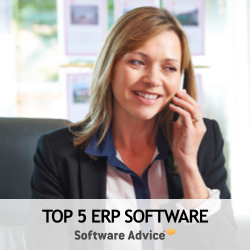 The latest ERP software version, NAV 2009 R2, was released in 2011, and a new version of NAV 7.0 is scheduled to be released in September or October of 2012. Microsoft NAV is specifically geared toward light manufacturing- and distribution-based companies. Microsoft's extensive partner network offers a wide variety of software customizations and add-ons for Dynamics NAV which further push the ERP product into several vertical markets. MS Partners have created vertical-specific add-ons for the ERP system in such categories as life sciences, third-party logistics (3PL) and distribution, construction, quality management, leasing, heavy equipment manufacturing, food processing, project management, professional services automation, financial-based solutions, and rental. Dynamics NAV is being used by approximately 65,000 companies, with over 1.3 million end user licenses. Approximately 13,000 of those companies are in the U.S., and the solution supports over 40 languages. According to Microsoft, it was the first and only midmarket ERP application to break one million end user licenses.